FreeCell Wizard Game - Download and Play Free Version! 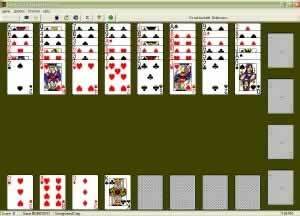 Better than Windows FreeCell - 15 game types or make your own! Enjoy a Nearly Endless Supply of FreeCell! 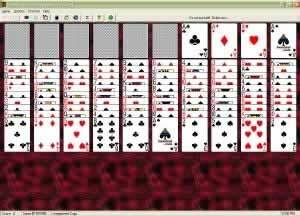 This game is FreeCell paradise for anyone who got addicted to the FreeCell game on Windows computers or for any FreeCell fan! This game adds two billion starting positions to Windows FreeCell or it can be played as a stand alone game for tons of FreeCell fun. 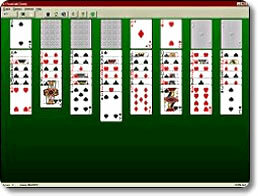 Play tons of classic FreeCell and 15 other games similar to FreeCell including Sea Towers and Double FreeCell. Customize card backs and backgrounds and even download additional card sets. You can even view your game statistics anytime. This game is easy to play because it has simple rules to read, the choice of moving cards by dragging and dropping or simply right clicking, undoing any or all moves and you can save your game at any time and return to it later. You can even create your own FreeCell games with an easy-to-use wizard! If you're adding this game to your Windows FreeCell, all the great features of this game will take the original FreeCell way up and provide a fun, new experience. As a stand alone game, FreeCell Wizard will provide endless, addicting solitaire fun for new learners or old pros. Also, you can exercise your creativity and create your own FreeCell games to challenge family and friends or teach new FreeCell gamers! Enter your FreeCell paradise now with FreeCell Wizard!